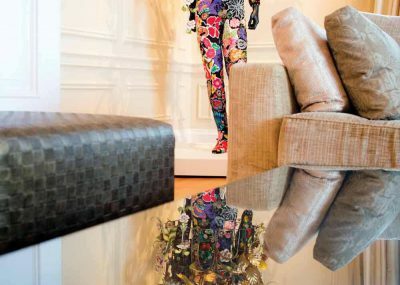 Art brings order to chaos. 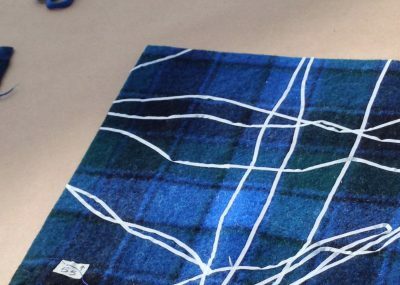 It gives it voice; it gives it a language. 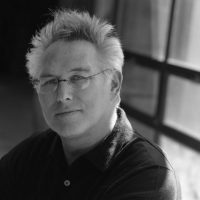 Fischl, an internationally acclaimed painter, sculptor, and printmaker known for the way his work conveys psychological nuances of the human condition while highlighting particularities of the body, has been hailed as one of the most influential figurative artists of the late 20th and early 21st centuries. 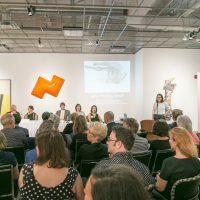 In the early days of his career, from 1974 to 1978, he taught painting at the Nova Scotia College of Art and Design (NSCAD) in Canada. 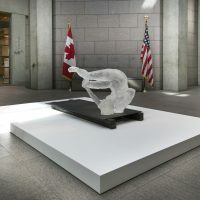 A large watercolor painting and a small glass maquette by Eric Fischl, both depicting his iconic Tumbling Woman figure, are featured in the Art in Embassies exhibition at the residence of U.S. 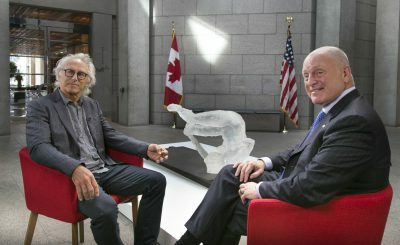 Ambassador to Canada Bruce A. Heyman. 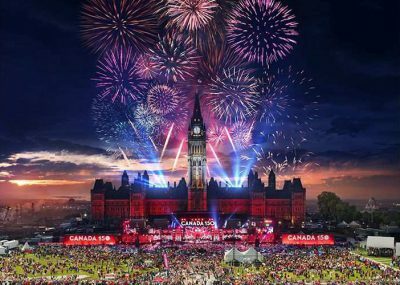 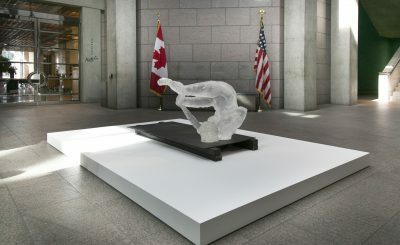 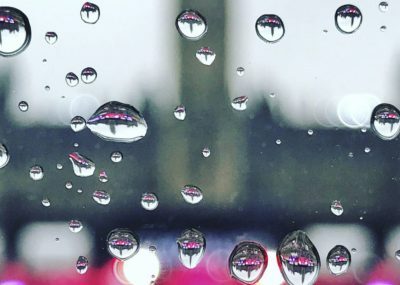 Additionally, in conjunction with Fischl’s cultural exchange, a life-sized, translucent, cast-acrylic version of Tumbling Woman was brought to Ottawa for temporary display. 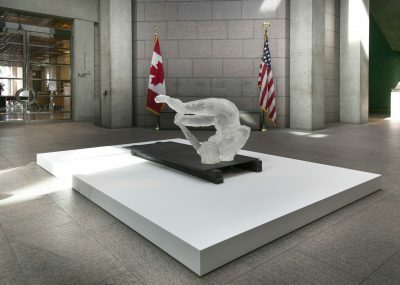 It was exhibited first at the NGC and then later in the atrium of the U.S. Embassy. 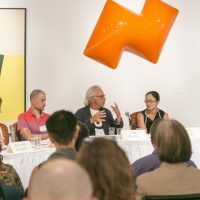 Fischl’s cultural exchange program in Ottawa began with a roundtable discussion entitled “Why Painting Now?” hosted by the Canada Council Art Bank on the evening of September 9, 2015. 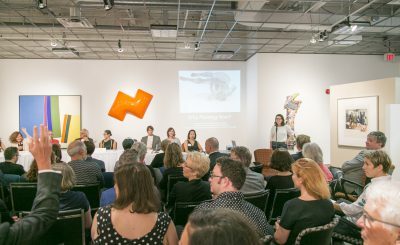 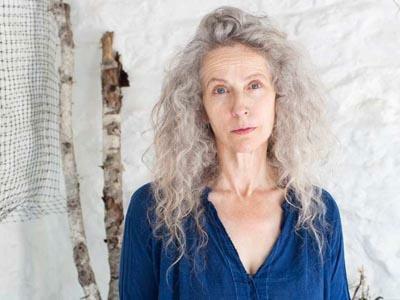 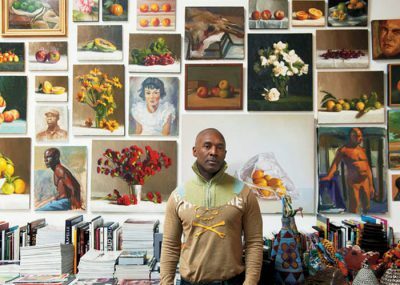 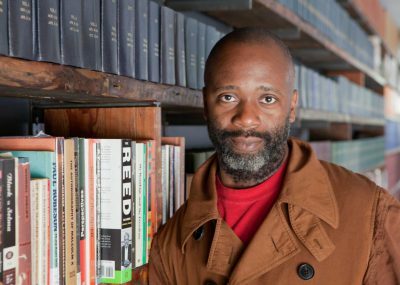 Moderated by Carleton University Professor of art history Ming Tiampo, Fischl spoke with six emerging Canadian artists about why art – specifically painting – still matters in today’s world. 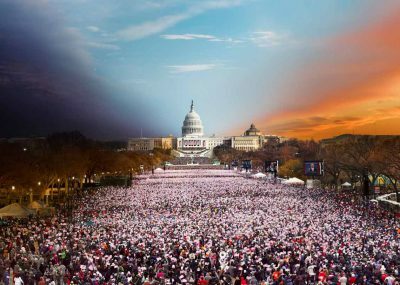 The following afternoon, Fischl met U.S. 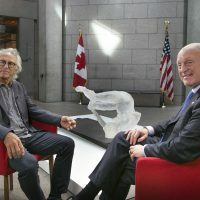 Ambassador Heyman at the NGC for a brief one-on-one video interview. 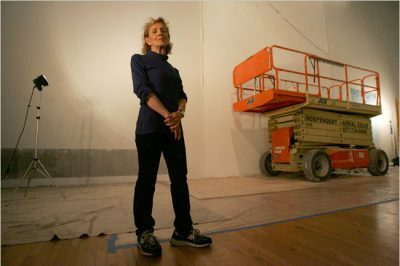 Seated together before the installation of Tumbling Woman, the artist described how the work was first created in response to the events of 9/11. 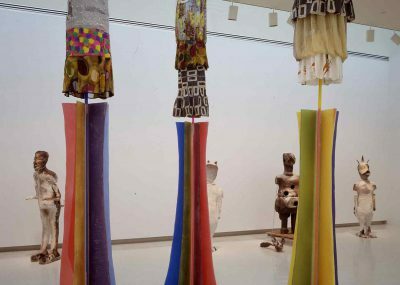 While the original Tumbling Woman was cast in bronze, he explained that since 2001 he has gone on to depict the figure in a variety of other media including watercolor, bronze, and glass. 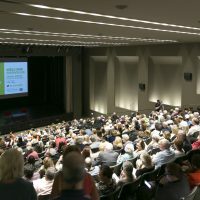 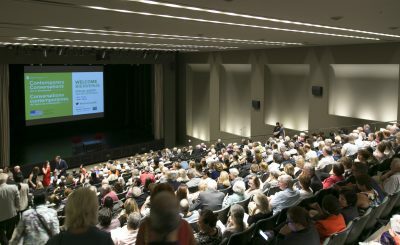 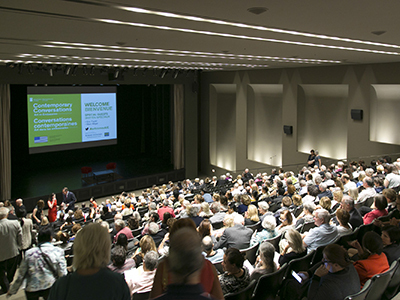 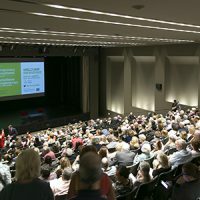 On the evening of September 10, Mrs. Vicki Heyman, whose focus on cultural diplomacy has been a driving force behind the Contemporary Conversations series, introduced Fischl and Director and CEO of the NGC, Marc Mayer, to a full house in the NGC’s auditorium. 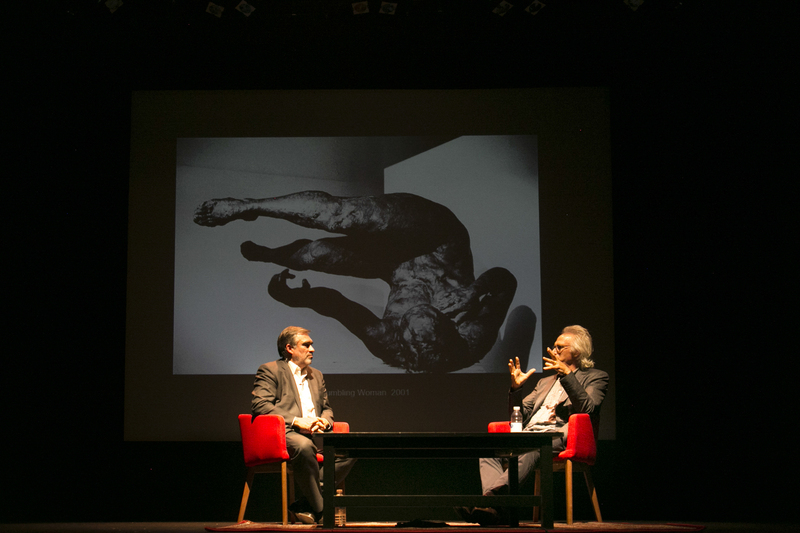 Mayer and Fischl proceeded to discuss a variety of topics including Fischl’s early career in Canada, his rise to international success as a figurative painter, his artistic approach to public memorial, as well as his recent philanthropic efforts to endow a series of art scholarships. 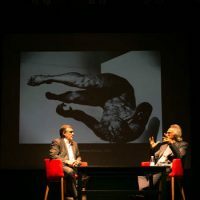 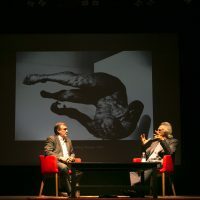 Eric Fischl during the Contemporary Conversation lecture at the National Gallery CanadaEric Fischl and Marc Mayer discuss how the public’s perception of Tumbling Woman has shifted in the 15 years since it was first created in bronze. 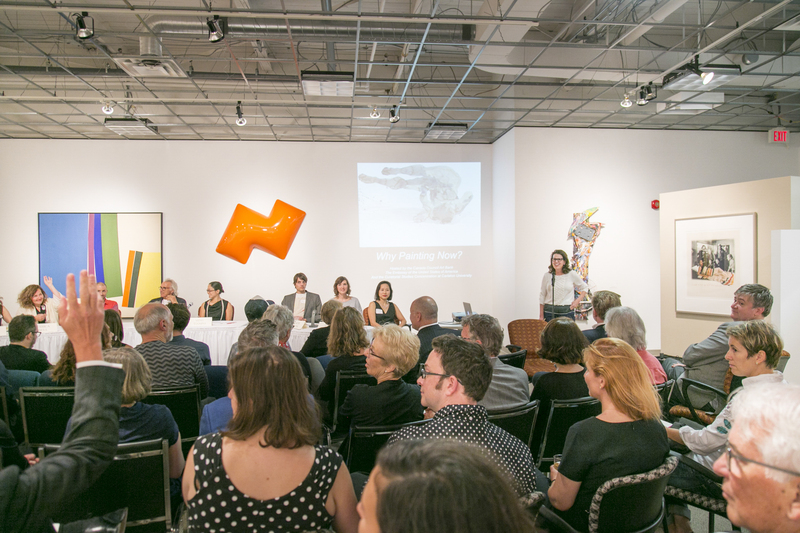 e-fischl-cc-ottawa-sep-2015-rp-39Full house gathered for Contemporary Conversations to hear Eric Fischl speak with NGC Director and CEO Marc Mayer. 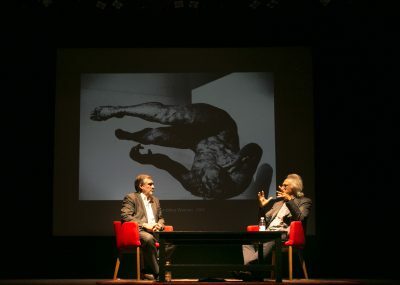 Eric Fischl. 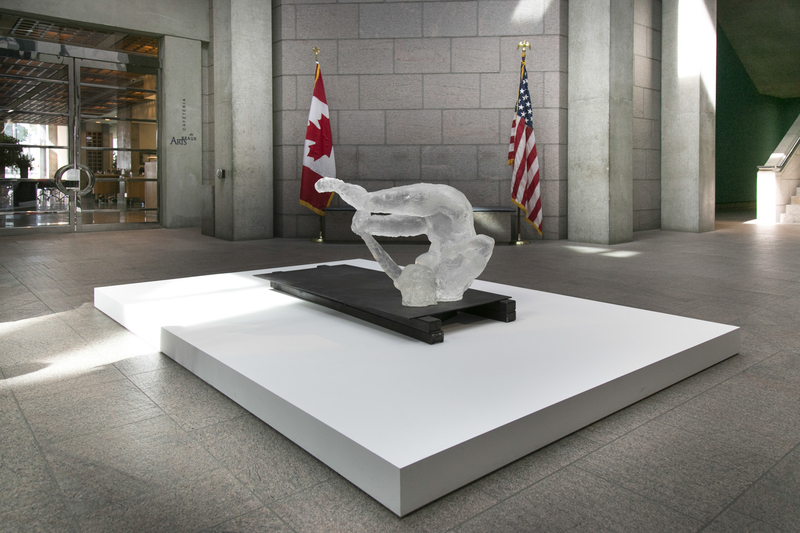 Untitled Tumbling Woman II 2014Eric Fischl. 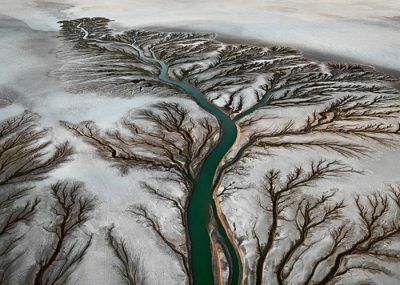 Untitled (Tumbling Woman II) 2014. 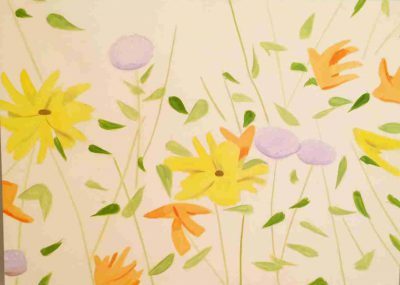 Trial proof / cast acrylic. 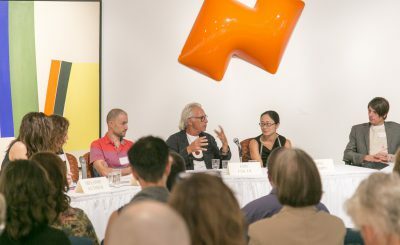 Courtesy of the artist, New York, and HEXTON / modern and contemporary, Chicago. 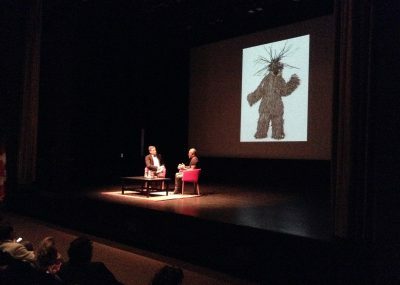 On display at the National Gallery of Canada (September 4-14, 2015). 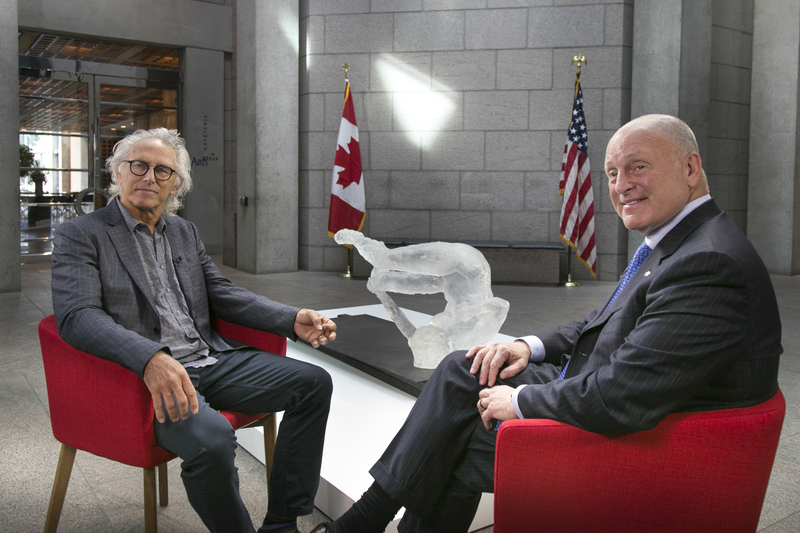 e-fischl-cc-ottawa-sep-2015-rp-18Eric Fischl sits down for a brief interview with U.S. 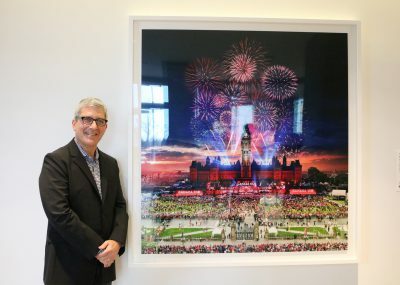 Ambassador Bruce Heyman at the National Gallery of Canada. 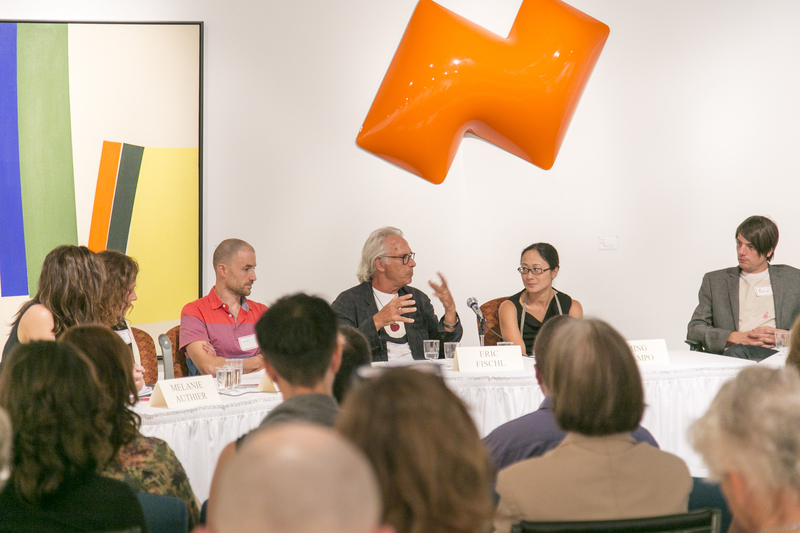 e-fischl-cc-ottawa-sep-2015-rp-10Eric Fischl discusses the relevance of contemporary painting with Carleton University’s Ming Tiampo and Canadian artists: Stanzie Tooth, Gavin Lynch, Melanie Authier, Jinny Yu, Jessica Bell, and Colin Muir Dorwood at the Canada Council Art Bank. 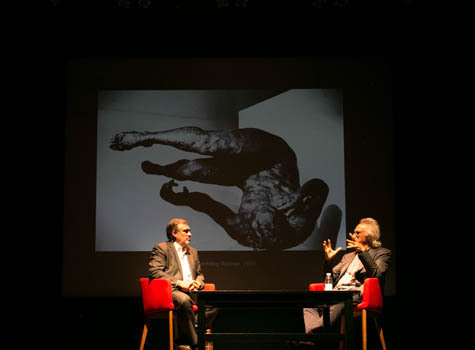 e-fischl-cc-ottawa-sep-2015-rp-6Eric Fischl and Marc Mayer discuss how the public’s perception of Tumbling Woman has shifted in the 15 years since it was first created in bronze. 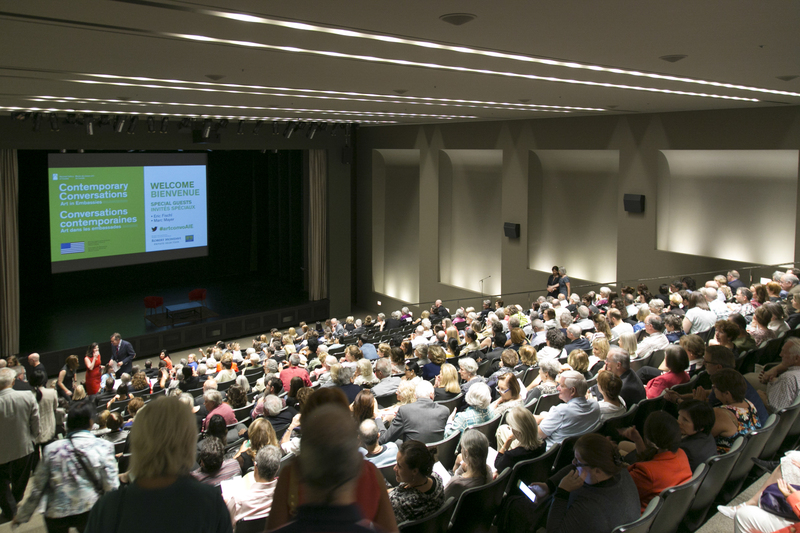 E.Fischl - CC Ottawa - Sep 2015 - RP -39Full house gathered for Contemporary Conversations to hear Eric Fischl speak with NGC Director and CEO Marc Mayer.